Join us on Saturday, June 30th at the National Peanut Festival for Fireworks @ the Fairgrounds 2018! Join us for the first Daylily Dash 5K and Fun Run benefitting the Wiregrass United Way on Saturday, May 19th, 2018, in Headland! 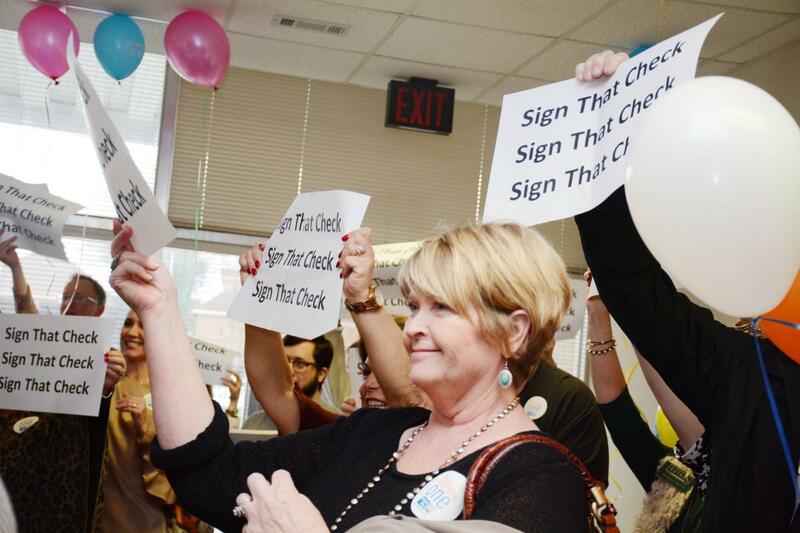 The Wiregrass United Way is proud to announce that we did it!! 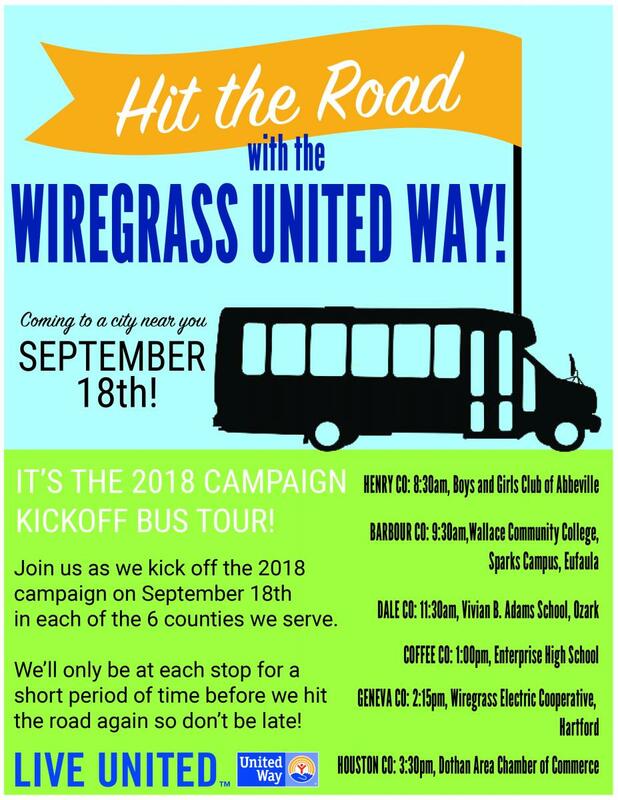 Join us for the 2017 Wiregrass United Way Campaign Kickoff bus tour on Tuesday, September 19th. The bus will stop in each of the six counties we serve for a mini-kickoff in each. The 2017 Wiregrass United Way Pacesetter Kickoff was held on August 4th at Wiregrass Rehabilitation Center in Dothan. The Wiregrass United Way held its 2016-17 annual meeting on Friday, April 7th at 8:00am at Flowers Hosptial in Dothan.